"Our conversion rate is now 40% higher than before we started using the FastSpring platform." 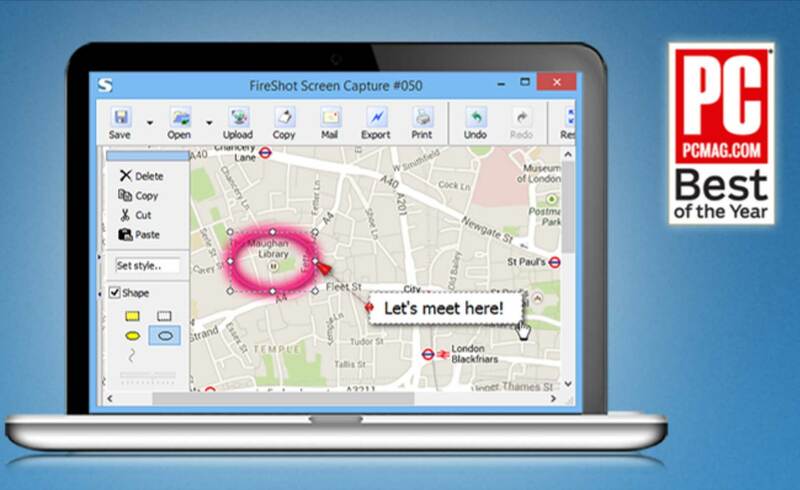 FireShot designs and sells software that allows users to capture, edit, and save full web pages. The files can then be exported, printed, and shared online. Among his many roles at FireShot, Evgeny Suslikov is responsible for developing the backend of their online storefront and ecommerce platform. Limitations due to traditional shopping carts, additional fees, and complex implementation processes. Traditional shopping carts suffer from low conversion rates. 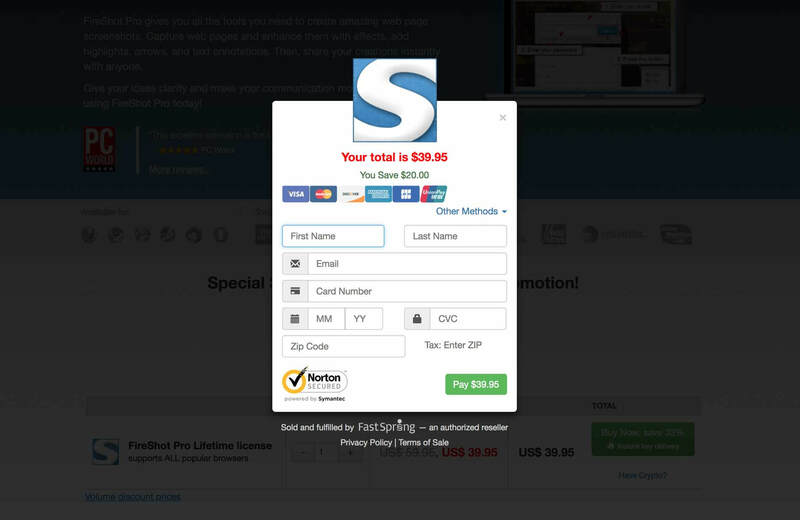 Like many online sellers, FireShot struggled to encourage website visitors to complete their purchase after they placed an item in their shopping cart. This led to a direct loss of revenue from abandoned sales. According to buySAFE, a comprehensive consumer confidence program for online retailers, a staggering 98 percent of online shoppers who visit web storefronts will leave without making a purchase. Evgeny’s primary concern was to find a way to increase FireShot’s conversion rates. Ecommerce platform service fees add to the total cost. Evgeny realized that the process of building a functioning ecommerce store from scratch brought up a variety of unexpected fees. Many storefront and ecommerce tools charge additional service fees on top of a transaction fee for every online purchase from the FireShot website. This increases the total cost of every transaction FireShot earns. That put Evgeny in the position of negotiating lower rates or finding an ecommerce provider that doesn’t charge an added service fee. Other ecommerce solutions are too complicated to implement. The changes required to implement a customized ecommerce platform are staggering. As a developer, Evgeny knew that even one small change to his server could have a huge ripple effect throughout his ecommerce system and upset the checkout flow on the product page on the FireShot website. Any change means risking potential sales and revenue. After realizing the difficulty of maintaining a self-hosted web storefront, Evgeny decided to take another look at FastSpring’s easy-to-use, all-in-one ecommerce platform. Simple implementation, straightforward rates, and ample features. FireShot made the switch to FastSpring’s ecommerce management platform. By integrating FastSpring, Fireshot saw a rapid leap in conversion rates. FireShot’s Conversion Rate Soars by 40%. Evgeny and the FireShot team were able to use FastSpring’s Store Builder Library to streamline the check out process so shoppers do not have to enter unnecessary information such as their address and phone number. “Our conversion rate is now 40% higher than before we started using the FastSpring platform,” shares Evgeny. FastSpring’s built-in, real-time dashboard offers actionable insights. “When I was using my previous ecommerce provider, I had to wait 20 or 30 minutes for it to refresh the data after a transaction,” Evgeny explains. 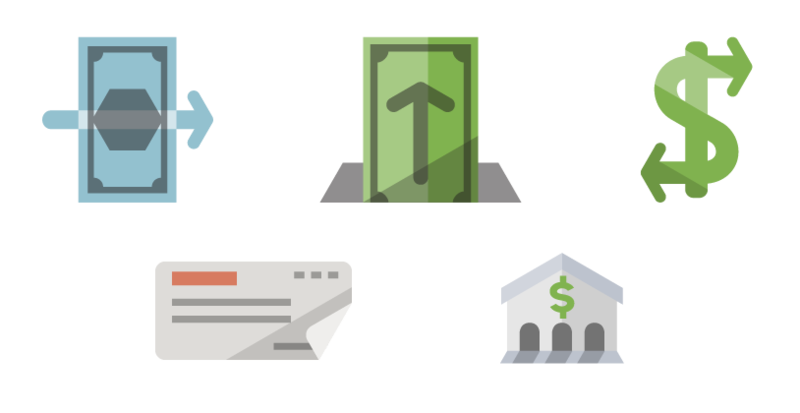 Worldwide headaches are solved with FastSpring’s global payments and back office software. Since FireShot is based in Scandinavia and sells its software all across the globe, a whole world of language, financial, and support issues arise that can be overwhelming. Fortunately, the FastSpring platform accepts more than a dozen currencies and displays options in more than 20 languages. Additionally, FastSpring accepts all major credit cards, PayPal, bank transfers, and other localized payment options along with fast payment gateways. The platform even provides fraud protection services and PCI compliance to ensure data security. What Does Evgeny Think of the Fastspring’s ecommerce platform?